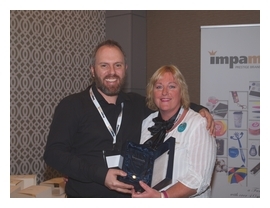 Impamark are proud to announce that we have been placed 19th out of 245 in the category of Distributor of The Year. Thank you to all of our suppliers who voted for us this year! 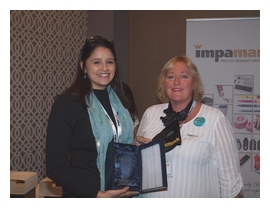 This entry was posted in General and tagged award, Impamark on December 11, 2018 by adminblog. CHRISTMAS SHUTDOWN 2018 – CLOSED FRIDAY 21ST DECEMBER FROM 1.00 P.M. AND REOPENING WEDNESDAY 2ND JANUARY AT 9.00 A.M.
2018 has been a very interesting year for us at Impamark. At the beginning of the year we launched our Happy Turtle logo with the strapline “Our solution is less pollution”. 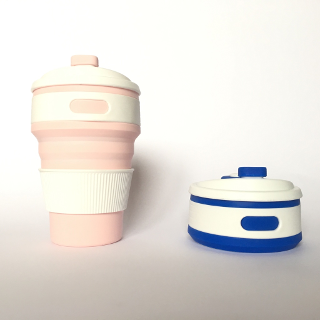 This reflects our move to a more environmentally friendly stance, and we hope this will assist in raising the world wide issue of plastic pollution. 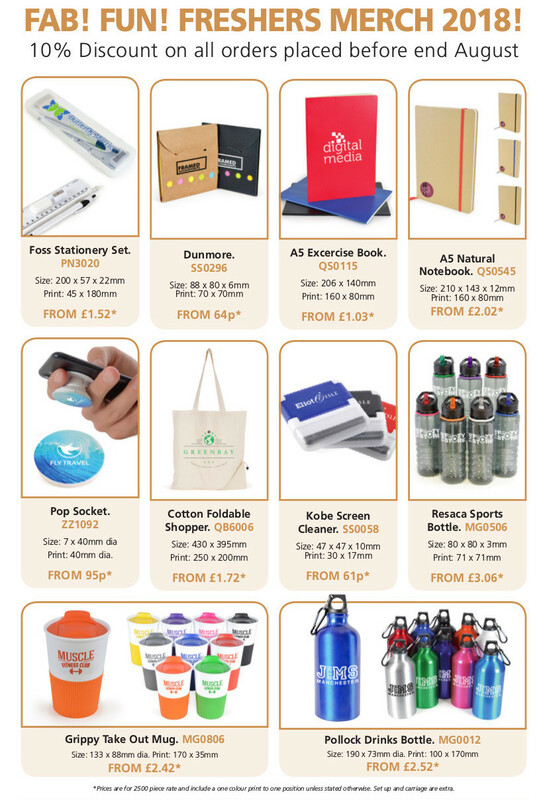 We are actively focusing on more environmentally friendly promotional merchandise and promoting to our clients where possible. In addition we are Corporate members of the Essex Wildlife Trust and in August we joined the WWF’s campaign by adopting a turtle. In September 2017 Holly joined us as an apprentice studying for her NVQ level 2 in Business Administration. 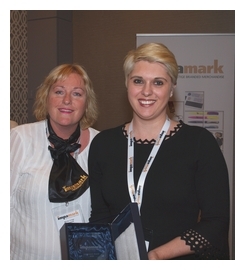 We are immensely proud that in September this year she won Apprentice of the Year at the ACL Awards. 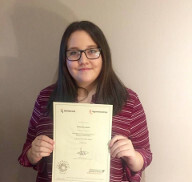 Holly has also been studying for her TPM qualification (Trained in Promotional Merchandise), and she takes her exam in December. 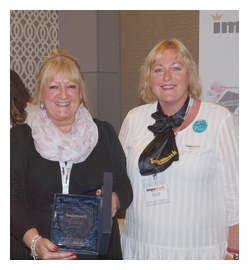 This is an industry standard training organised by the BPMA (British Promotional Merchandise Association), of which we have been members for over 10 years. 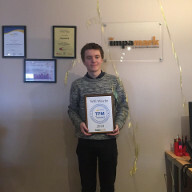 In addition, Will, our IT Support Technician having completed level 3 and level 4 BTEC qualifications as part of his apprenticeship, has also completed his TPM qualification earlier this year. As a team we have visited clients this year across the UK from the West country to Scotland. In April we held our fourth client day entitled ‘The Power of Brand’ at Five Lakes Hotel near Colchester which was attended by clients from all across the UK. 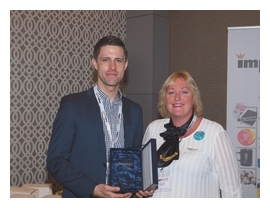 We had over 30 top merchandise suppliers exhibiting, and 4 key speakers including the Director General of the BPMA. 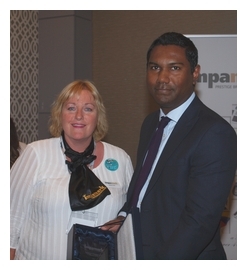 We held our first ever Business Awards which was really well received. The day was completely free of charge to those that attended, and the feedback was very positive with people saying it was a great way to find new products and ideas, and it was wonderful to learn more about branding. It was also a good opportunity for the Impamark team to meet so many of you and I am sure it will be something that we will repeat again in the future. As a team we take training very seriously and we have all visited various supplier factories to learn more about innovative branding processes, as well as attending different trade shows across the UK so we can bring you the latest product information. 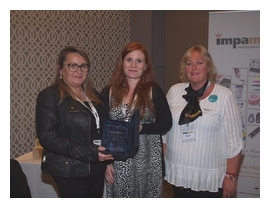 In November we exhibited at the Chelmsford Showcase for Business and also sponsored the Essex Hairdressers Under 25’s Competition, with fantastic prizes for the winners, gifts for the judges and goody bags for all attendees. 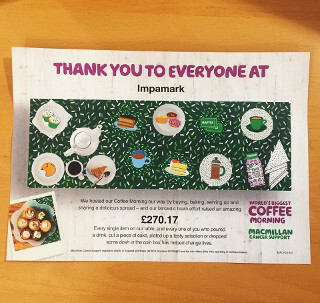 We have also raised £133 for Essex Wildlife Trust via a fundraising raffle in April, and we recently held a Macmillan Coffee Morning and raised over £270! 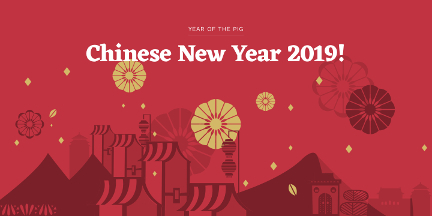 We would like to remind you all that Chinese New Year, (CNY) is 5th February which will mean that orders for delivery pre CNY will need to be placed before 20th December. Any orders placed in January will be delivered in March. In addition to this we don’t know at this stage what the effect of Brexit will have on our industry supply chain. Therefore, we strongly encourage everyone to place orders in December and January for any events or requirements in the first three months of 2019. All that is left for me to say is from all of us here at Impamark we would like to thank everyone for their continued support throughout 2018. We look forward to working closely with you again next year. 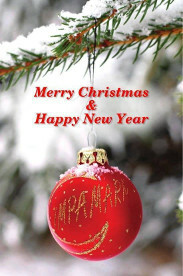 Wishing everyone a wonderful Christmas break and a peaceful and prosperous New Year. 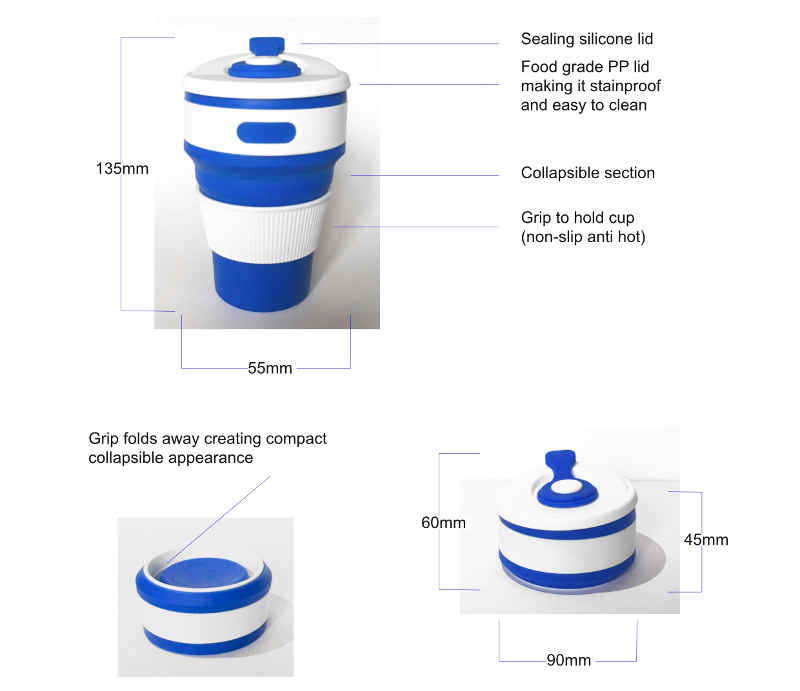 This entry was posted in General and tagged BPMA, Brexit, British promotional Merchandise Association, chinese new year, Christmas, environmental on December 11, 2018 by adminblog. 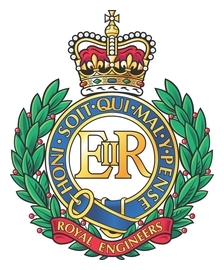 We would like to thank you for your loyalty and business, and every time you refer us to a friend or work colleague who places an order with us, you will receive a £20 Amazon voucher. This entry was posted in General and tagged amazon, Amazon Voucher Offer, branded merchandise on September 20, 2018 by adminblog. This entry was posted in General and tagged bags, branded merchandise, Freshers, mug, mugs, personalised mugs, personalised products, University on August 15, 2018 by adminblog. Biodegradable plastics are a modern necessity for our ever-endangered environment. 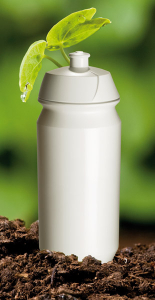 The Bio Bottle is biodegradable, yet maintains the same look and feel as our standard bottles. 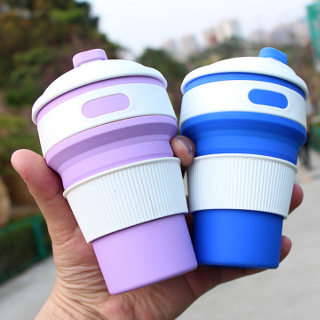 It is made from polyethylene and a revolutionary masterbatch additive. Composting begins in a landfill facility, the process takes 1-5 years. Full Colour process print, full wrap. 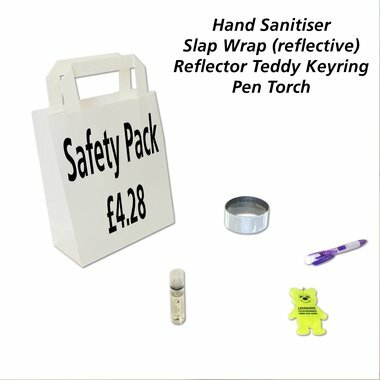 This entry was posted in General and tagged bottle, branded merchandise, drinks bottles, environmental, Offer, personalised products, promotional merchandise, Promotional Products on June 27, 2018 by adminblog. Plastic rubbish is responsible for the death of many kinds of marine life. This pollution also affects terrestial animals including humans due to contamination in drinking water. 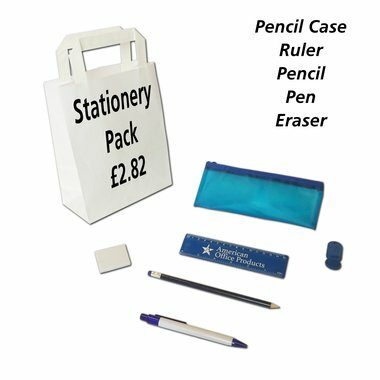 AMAZING PRICE OF ONLY £5.77 !! This entry was posted in General on April 5, 2018 by adminblog. !! For a limited period only !! 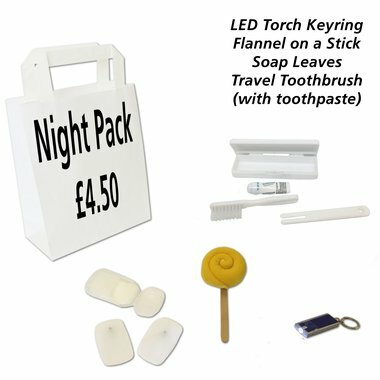 Due to popular demand, Impamark have decided to focus on Scouts, Guides, and Youth organisations by putting together a fantastic selection of packs at different prices to suit all budgets. 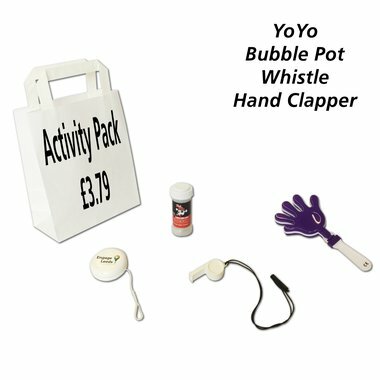 Designed in mind for children and young adults, the packs we have created are split into different categories. 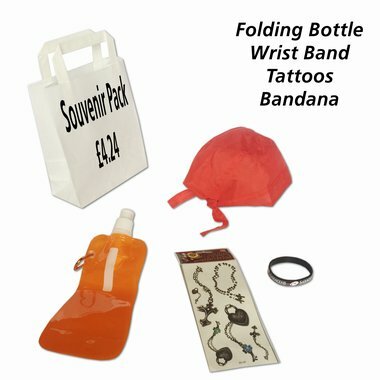 All packs are priced based on 500 of each unit, all including a 1 colour print, set up, and carriage to one UK destination included (plus VAT). This entry was posted in General on March 23, 2018 by adminblog.